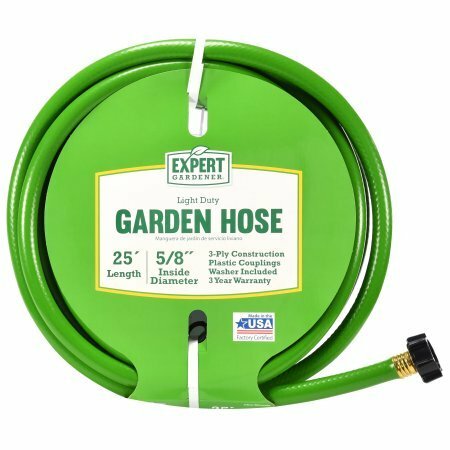 Expert Gardener 25' Light Duty Garden Hose is handy for watering your lawn, vegetable garden or landscaping. It's easy to use and lightweight to maneuver around your home for those jobs where you don't need to go very far and don't want to drag a heavier tool around. This Expert Gardener Hose is convenient to take with you to different locations. It's also good for hooking up to a sprinkler for irrigation or summer playtime fun.